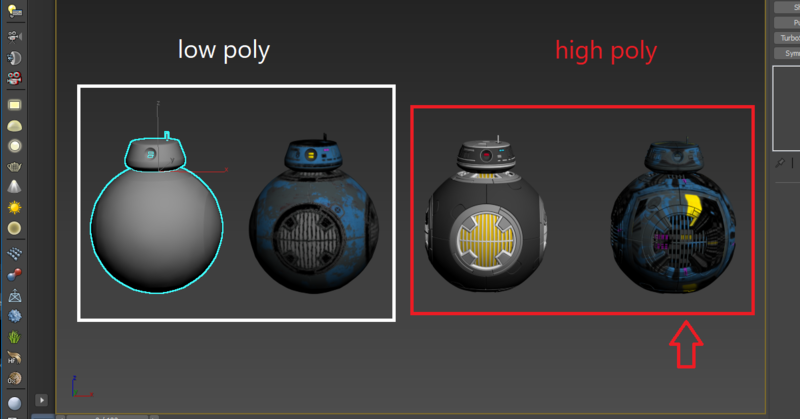 when i click in assign material to high poly model the texture become so bad in random way !! can you help me to find a solution please ? sadly you won't be able to show the textures on the highpoly model because this one has not been unwrapped. Only through the unwrapping did we assign UV coordinates to our model which then shows the texture.